Description: Design of four plastic-steel columns. 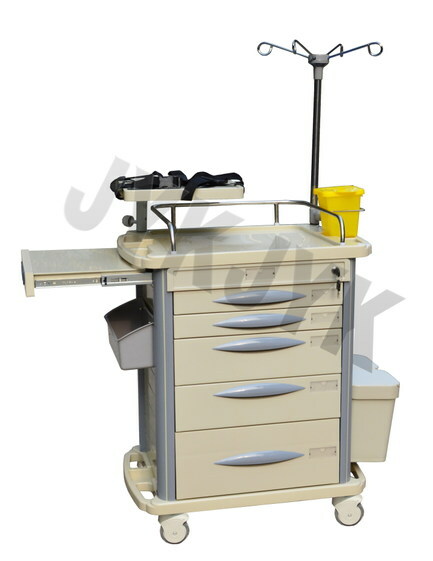 Top: One-piece ABS plastic top board with arc handle and raised-edge design, covered transparent soft plastic glass, 304# degree stainless steel guard rail, IV Pole with four hooks, Stainless steel tray for defibrillator, sliding side board. With 2PCS of small size drawers, 2PCS of middle size drawers, 1PC of big size drawer (inside with three pairs of dividers, which can be organized easily and freely), with label cards for drawers. Centralized lock for all drawers. Right waste collecting area: With needle disposal holder, dust basket. Description: Design of four aluminum columns. 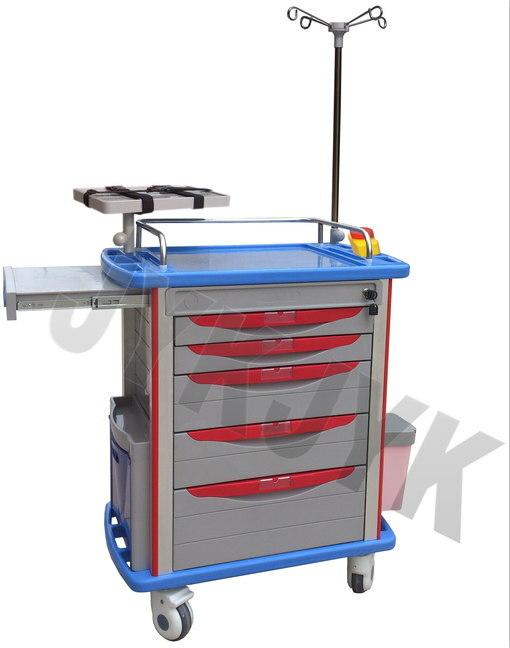 Top: One-piece ABS plastic top board with arc handle and raised-edge design, covered transparent soft plastic glass, 304# degree stainless steel guard rail, IV Pole with four hooks, Stainless steel tray for defibrillator, sliding board. With 2PCS of small size drawers, 1PC of middle size drawer (inside with three pairs of dividers, which can be organized easily and freely), with label cards for drawers. Centralized lock for all drawers. One cabinet with two doors. Contact us if you need more details on Medical Equipment. 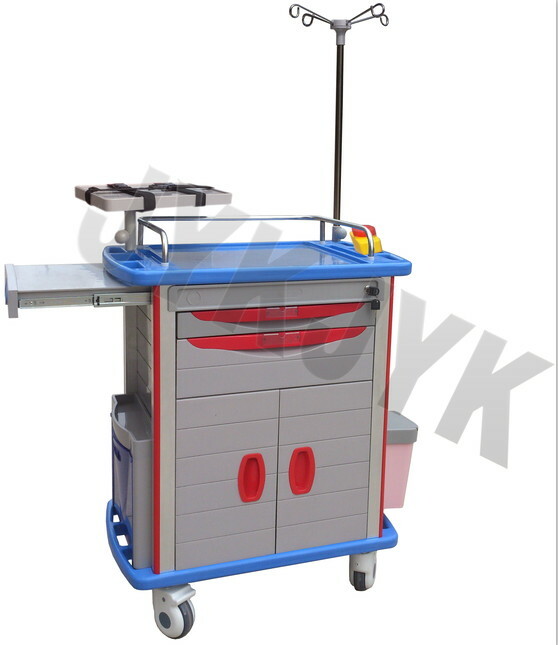 We are ready to answer your questions on packaging, logistics, certification or any Other aspects about Emergency Trolley、Medicine Trolley. If these products fail to match your need, please contact us and we would like to provide relevant information.